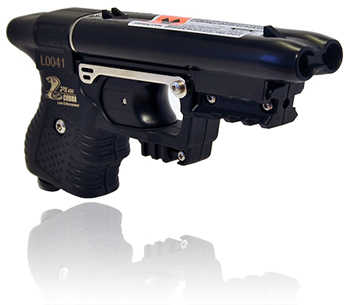 Just the sheer sound of the Stun Master 775,000 volt stun gun will scare most attackers away. If they persist, three to five seconds of contact will leave them on the ground, contorted in pain. Disable Pin: There is a disable pin attached to the end of the wrist strap. 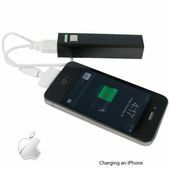 This prevents an attacker from taking the stun gun away and using it on you. The wrist strap is worn around your wrist and plugs into the bottom of the stun gun. If the stun gun is taken away from you the disable pin will pull out, preventing the stun gun from working. 8.75" tall, 2.75" wide. Click here for stun gun legality. *Beware of stun guns over 700,000 volts that only use 2 or 3 batteries. Do you really think those stun guns have the power they say they do?